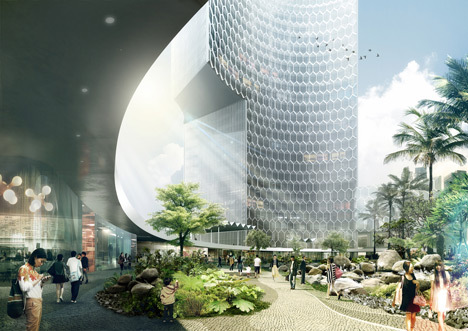 SINGAPORE: Singapore will give the development of green buildings an added push. The Economic Development Board is supporting the formation of groups of developers, consultants and building technology and materials providers to undertake research on enabling eco-friendly buildings and cities of the future. At the same time, the Building and Construction Authority is working on its third Green Building Masterplan to outline Singapore’s vision to be a global leader in eco-friendly buildings. The masterplan will chart the path for greater development of industry capabilities and standards where green buildings are concerned. It puts a greater emphasis on monitoring building energy performance and carbon emissions reduction strategies. Speaking at the International Green Building Conference 2013, Acting Prime Minister Teo Chee Hean said that the complexity of issues posed by climate change require a multi-disciplinary response. He said as an example, that mechanical and electrical engineers would also need to help develop innovative solutions to enable energy efficiency in buildings.